Monitor both the humidity and temperature of your office, laboratory, greenhouse, food storage or computer room. 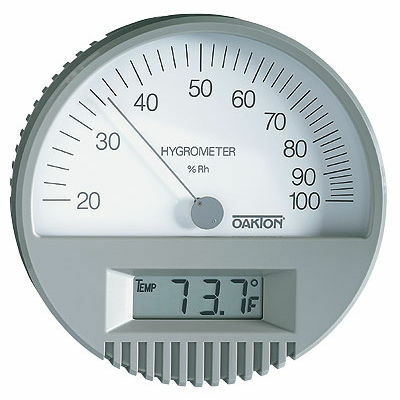 This thermohygrometer remains accurate and stable without maintenance or adjustments. Analog humidity display; 1/2"H LCD temperature display with F or C readout. Supplied with one AA 1.5 V battery, corrosion-resistant plastic case, mounting bracket, and instructions.